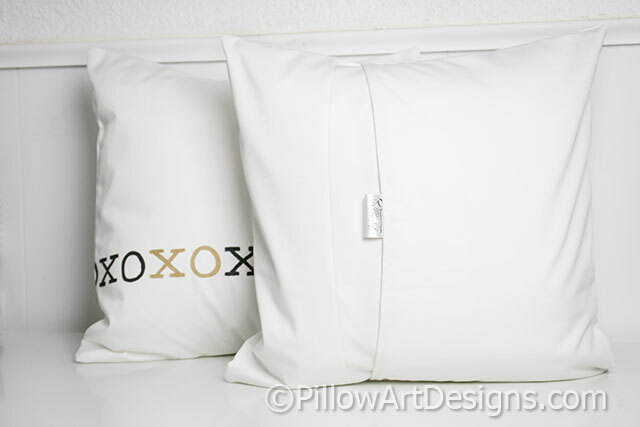 Simple but cute minimalist design, this set of two white cotton twill pillow covers feature XO design across the front. 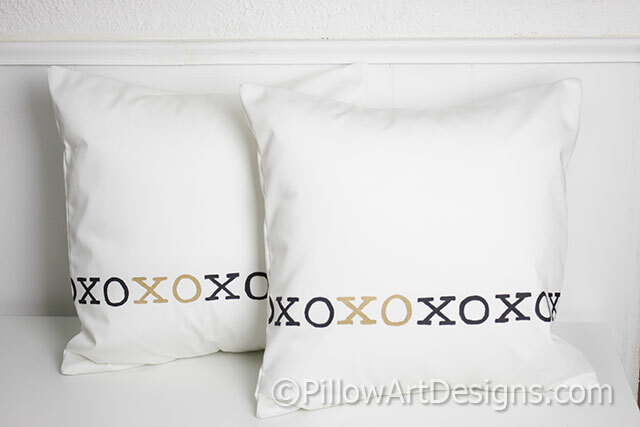 XO designs painted in black with one set of XO painted in metallic gold. Sized to fit 16 X 16 inch pillow inserts (not included). Outer fabric is white cotton twill. Fully lined with white cotton polyester, giving the covers nice fit and finish. Designed and handmade in Canada, by me. This is a set of two pillows as shown in photos.